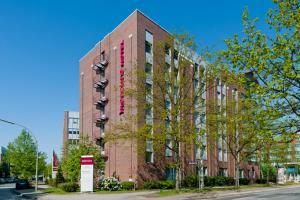 This 4-star hotel lies opposite Hamburg’s Volkspark, 7 km from Hamburg city centre. The A7 motorway junction is a 4-minute drive away. 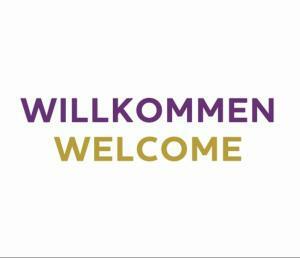 All rooms at the family-friendly Mercure Hotel Hamburg am Volkspark have air conditioning, free WiFi, a flat-screen TV and tea/coffee facilities. Guests can use the internet terminal in the lobby for free. There is also a play corner for children. The Le Jardin restaurant offers a rich breakfast buffet each morning. Regional and international dishes are available here for lunch and dinner. 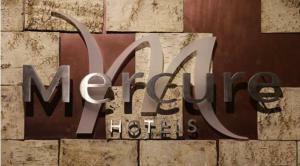 The Mercure Hotel Hamburg am Volkspark's bar serves snacks and drinks, and features sports TV channels. Volkspark Stadium HSV and Event Barclaycard Arena are both a 20-minute walk away from the hotel. 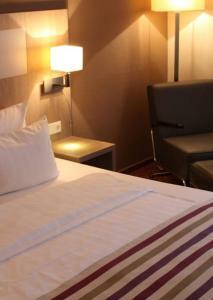 Sufficient parking spaces are available in front of the hotel and in the underground parking garage. Bus lines 1 and 2 go to the Trabrennbahn stop, near the hotel. Guests can use the pool, sauna and solarium in the nearby VAF leisure centre, or else go jogging or walking in the Volkspark (park). 4 bicycles can be hired at the hotel between April and October every year. Please inform the property in advance if you will be travelling with children and of their ages. Guests who fail to inform the property of their children in advance cannot be guaranteed a family room. Baby cots are available upon request, subject to availability. Please also note that breakfast is free for 1 child age 16 and under if the parents have booked the breakfast option. Please note that the pool and sauna are currently closed until further notice. Alternative fitness, swimming, sauna and solarium facilities will be available to guests near the property during this period. Please contact the property for further details. Please note the varying opening hours in the restaurant and the hotel bar from 16 December 2018 to 12 January 2019. Please contact the hotel directly for more details.